The terminal also features a Qualcomm Snapdragon 212 quad-core chipset, a 5-inch diagonal screen (720p resolution), 1 GB of RAM, 8 GB internal storage (which can be extended with a full-size micro SD card 128 GB) and 8 MP main camera (5-megapixel front-facing, self-tapping). The side of the phone is made of aluminium, the back cover is made of poly carbonate and the screen benefits from Gorilla Glass 3 protection. The Nokia 2 will be available in Pewter / Black, Pewter / White and Copper / Black at an average global price of 100 euros. 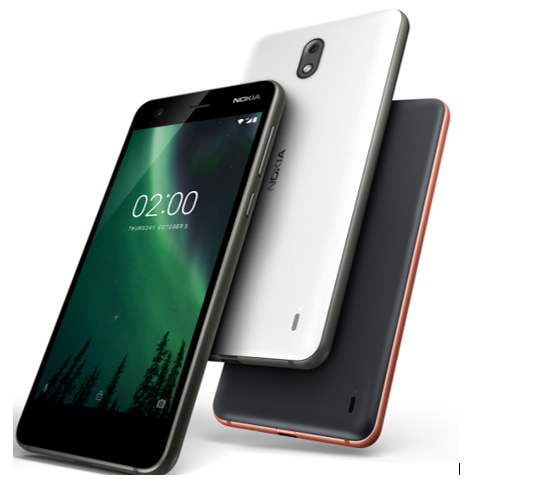 Nokia 2 has been launched by HMD Global and the price of the smartphone is 99 euros. The Nokia 2 smartphone will come to the markets later this month.